"A game that puts you inside of the Pokemon world in a 3D experience." Ever wanted to experience Pokemon in 3D? Playing Pokemon 3D brings an entirely new experience for the dedicated players of Pokemon - Pokemon in 3D! 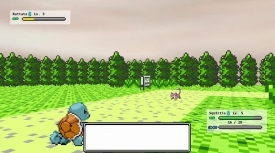 The graphics largely resemble the classic versions of Pokemon for the Nintendo Gameboy devices, which would make this even more appealing to those who are used to the retro style visuals. 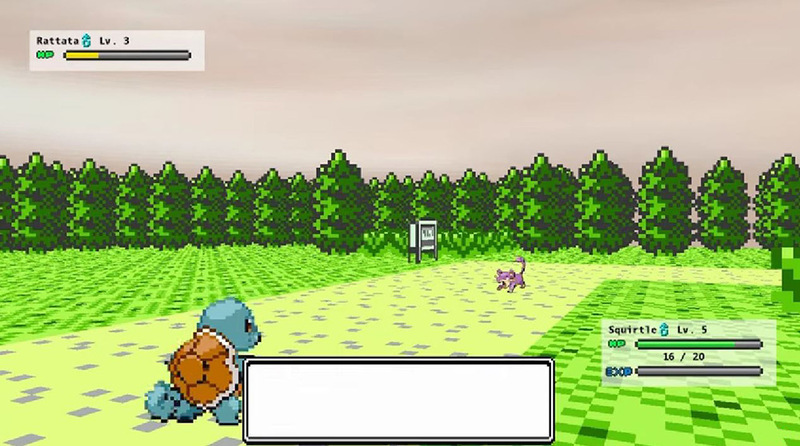 This game is a recreation of the old Pokemon games, Gold and Silver. However, the storyline in this game is not tired to the storylines in Gold or Silver, so you get to start a whole new story in a unique 3D version of the game! The soundtrack in the game was actually made pretty well considering it is an independent developer. The music also makes the game, because of the old style sounding music that you would expect from the classic games when we all used to play them on our Gameboys. This game is also completely free with no strings attached, so you can simply download it from here at Rocky Bytes and you are free to play it as much as you want. Of course, you are the hero of the game and want to be the best Pokemon trainer out there. So, hop into Pokemon 3D and play it in either single player, or co-op with a friend over your LAN for much more interesting fun! In order to play this game, it is required that you have .NET Framework 4.0 and XNA 4.0 installed. These are the two basic frameworks from Microsoft that many applications use, however if you do not have them installed yet be sure to do that before you download Pokemon 3D - otherwise the game will not work. You can find these downloads by simply Googling them - the downloads are provided to you by Microsoft for free. Pokemon Godra, like Pokemon Go without leaving your house. Gotta Catch’em All! The Best Pokemon Fan Games free to download!